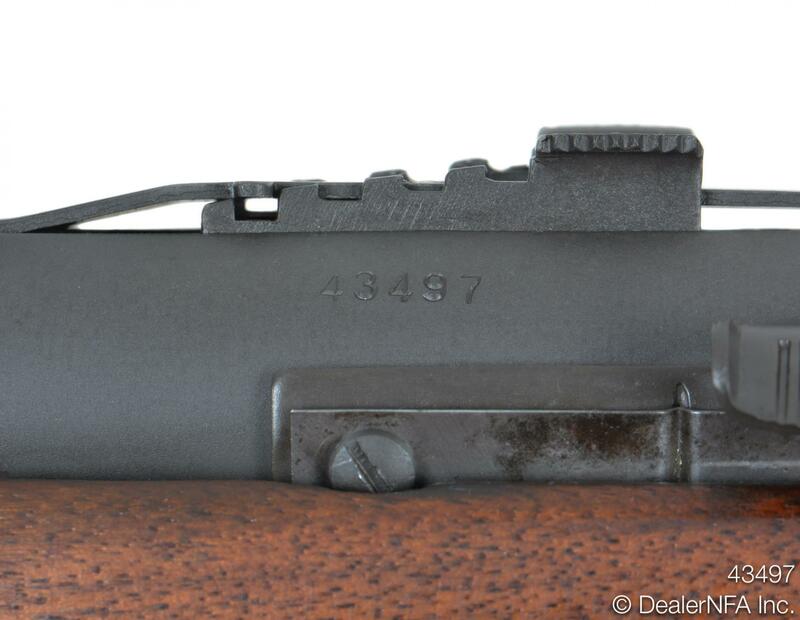 Offered for sale is a Harrington & Richardson Reising Model 50 Submachine Gun, serial number 43497. 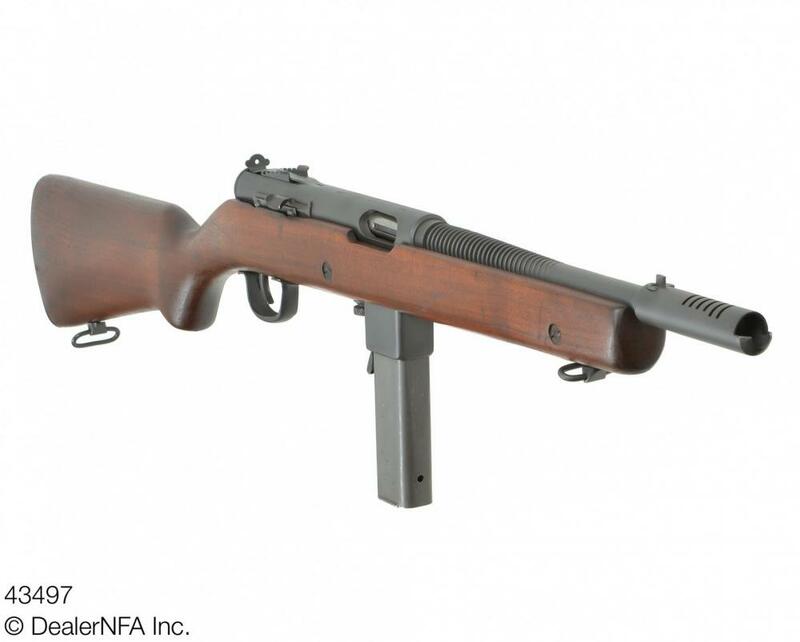 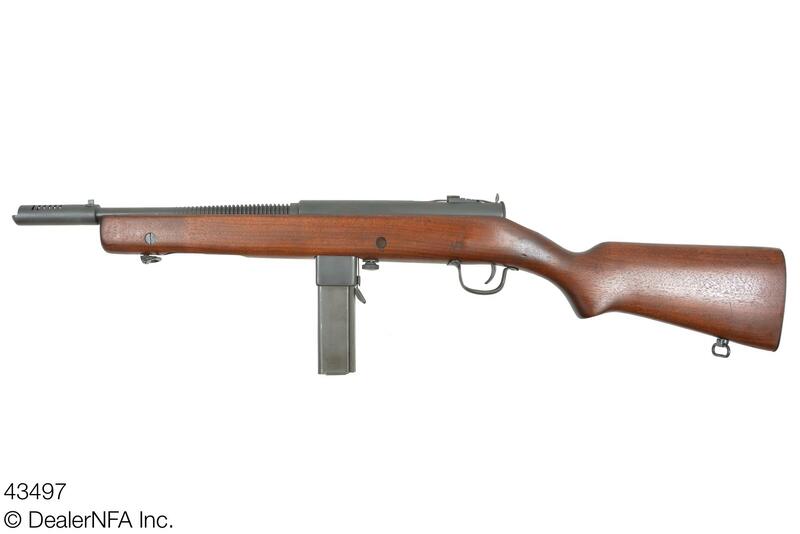 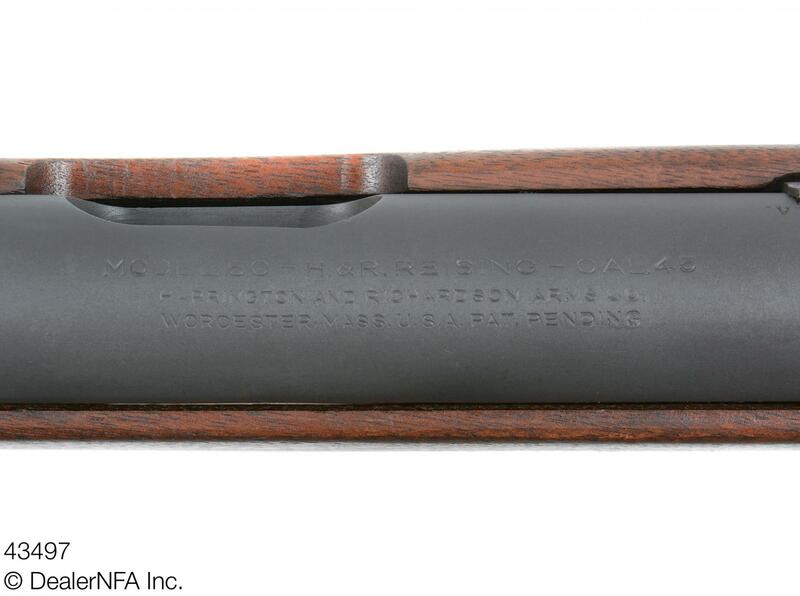 This Reising was manufactured in 1942, just under halfway through the WWII production run of the weapon. 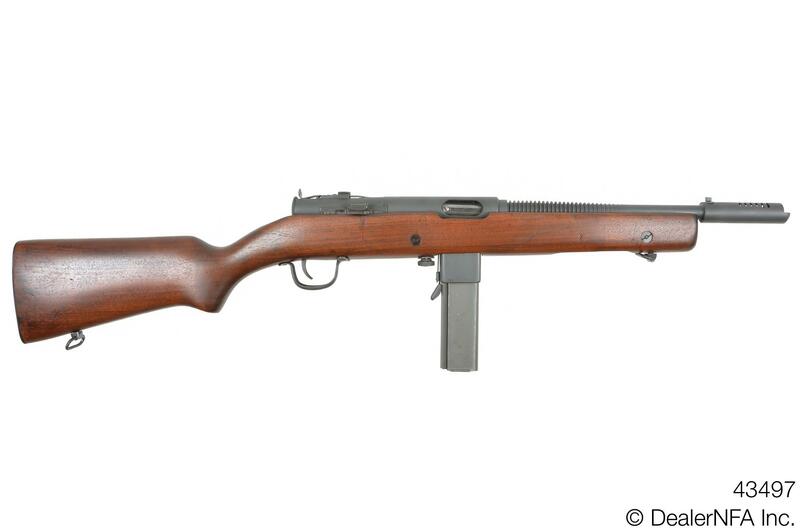 This Reising has been refinished, and is what is commonly referred to by Reising collectors as a “Military Model,” with a 14-fin barrel, knurled quick disassembly screw, and a three-screw trigger guard. 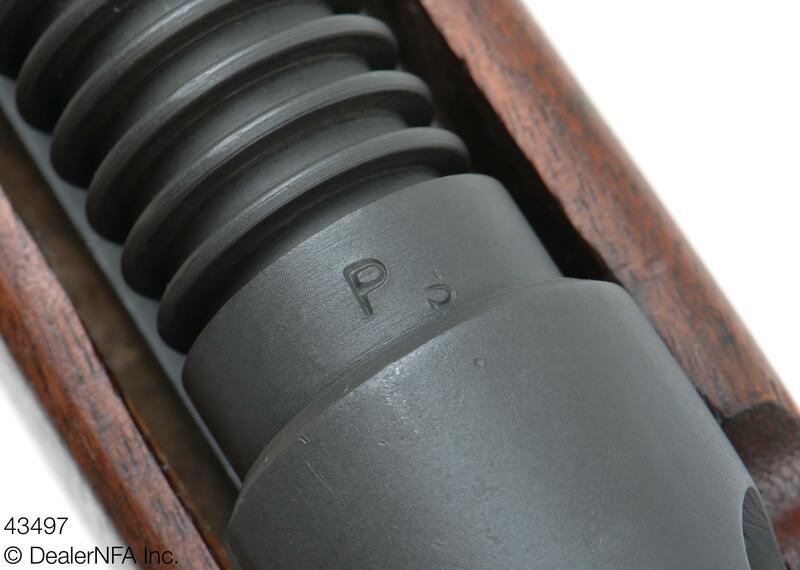 It has a stock featuring reinforcement bolts, and is in good overall condition.